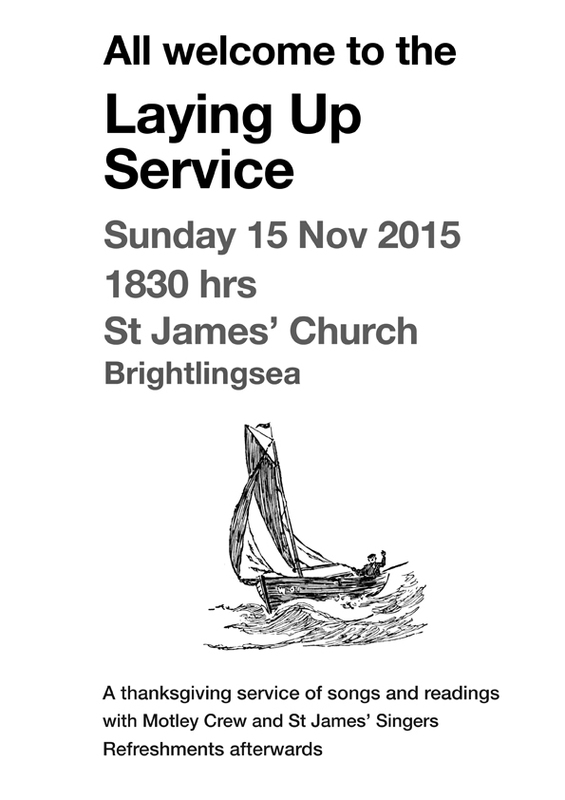 Our very own BOD sailing Rev’d Anne Howson invites everyone to join her for the annual Laying Up Service to be held at St James’s Church in Victoria Place at 18.30 on Sunday 13 November 2015. This lovely thanks giving service will include songs and readings plus performances by both the Motley Crew and St James’ Singers and refreshments afterwards. Put the date in your diary and we look forward to seeing many of you there.